The ‘Spice Island’ of Zanzibar, located 26 miles off the coast of Tanzania, is a prime location from which to enjoy the Indian Ocean’s clear turquoise waters. 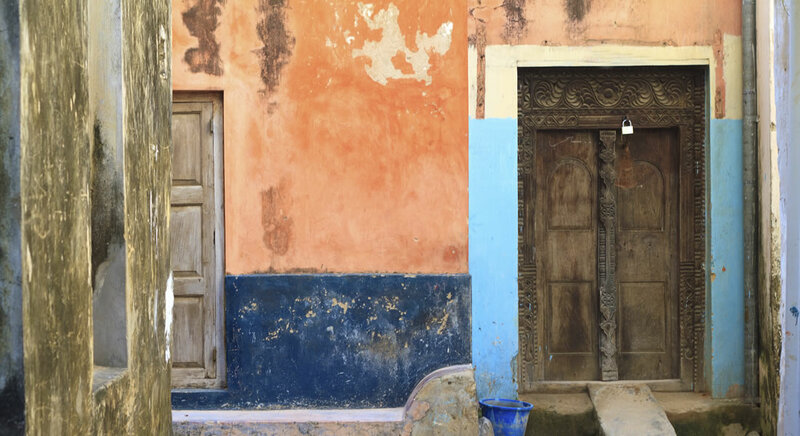 Combine this with the stirring slave-trade history that comes alive in Stone Town, and you have the perfect complement to your African safari adventure with Boundless Journeys. Your days on Zanzibar will be leisurely—you can snorkel, swim with dolphins, try your hand at windsurfing, indulge in a luxurious spa treatment… or two, walk through a forest filled with monkeys, or simply relax on the beautiful white-sand beaches. Choose from classic, deluxe, or luxurious accommodations to further customize the experience to suit your travel style. Based on our years of designing custom tours to Zanzibar, we believe that the itinerary below delivers the ideal combination of flexibility and relaxation. Our Boundless Journeys trip specialists can further customize this option to match the interests of your group. Don't worry: If you don't see what you are looking for, there are many more options to explore! Give us a call at 1-800-941-8010 to start the conversation. 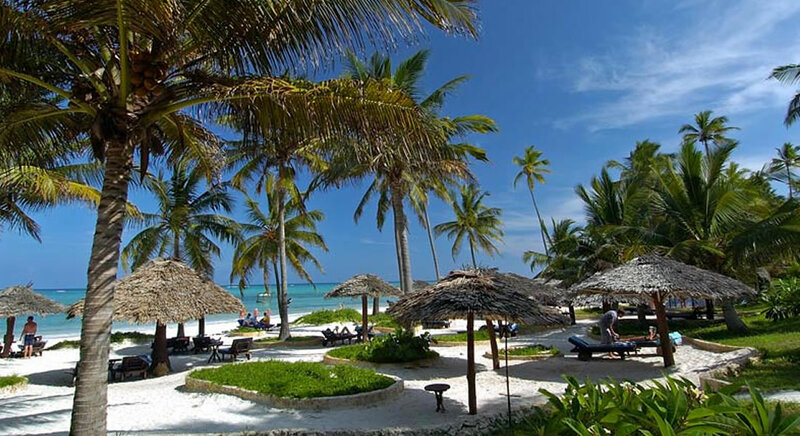 Located on the southeastern coast of Zanzibar, Bwejuu Beach is a beautiful 13-mile-long stretch of white sand, gently swaying palm trees, and clear turquoise waters. It is fronted by a coral lagoon and reef, making the water warm and tranquil — making it the perfect spot to relax and unwind. If you need to pick up a few items to make sand castles in the sun, behind the beach itself is the quaint village of Bwejuu. As the former capital of the Zanzibar Sultunate — and once the center for the spice trade and the slave trade in the 19th century — Stone Town is in the old part of Zanzibar City, the main city of Zanzibar. Designated a UNESCO World Heritage Site in 2000, it features a unique mixture of Arab, European, Indian, Persian, and African influences, especially within its architecture. Also known as Mji Mkongwe (Swahili for "old town"), the name "Stone Town" comes from the use of coral stone, which was used as the main construction material. White-sand beaches, great snorkeling, and exotic surroundings make the Spice Island of Zanzibar an ideal extension to your African safari. 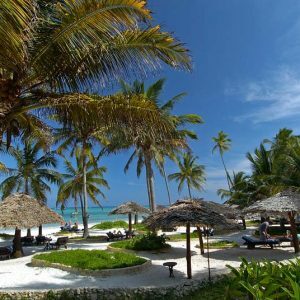 Located on the southeastern coast of Zanzibar, Bwejuu Beach is a beautiful 13-mile-long stretch of white sand, gently swaying palm trees, and clear turquoise waters. It is fronted by a coral lagoon and reef, making the water warm and tranquil -- making it the perfect spot to relax and unwind. If you need to pick up a few items to make sand castles in the sun, behind the beach itself is the quaint village of Bwejuu. 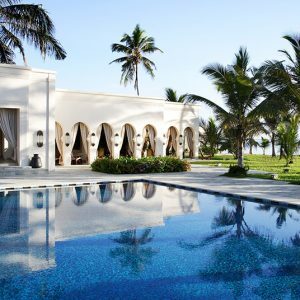 Baraza Resort and Spa is 5-star hotel featuring 30 villas on the pristine Bwejuu Beach on Zanzibar’s remote southeast coast. This beautiful resort evokes the heritage of Zanzibar, dating back to the era of the Sultans. 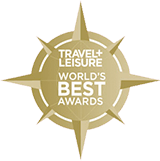 A fusion of Arabic, Swahili and Indian design, with Swahili arches, intricate hand-carved décor, beautiful antiques, handmade furniture and intricate brass lanterns create a royal ambiance, and the award-winning spa and PADI dive center offer options for relaxation and adventure. Set on pristine, uncrowded Bwejuu Beach (named one of the world’s "Top Island Beaches" by Conde Nast Traveler), Breezes Beach Club offers comfortable beachfront rooms decorated with exotic fabrics, a full service spa, and a variety of water sports, including snorkeling, paddle boarding, and scuba diving. An exclusive luxury resort, the Palm’s 6 private villas are beautifully designed to create an atmosphere of relaxed, understated elegance. 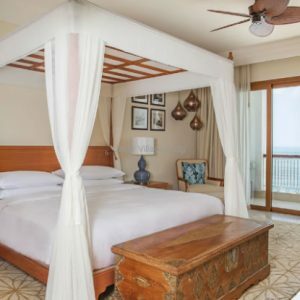 Each villa offers a bedroom with a silk-draped, four-poster Zanzibar bed, living room, full ensuite bathroom, dressing room, extra room with its own en suite bathroom and large furnished terrace with views of the Indian Ocean and a private, sunken, outdoor plunge pool. As the former capital of the Zanzibar Sultunate -- and once the center for the spice trade and the slave trade in the 19th century -- Stone Town is in the old part of Zanzibar City, the main city of Zanzibar. Designated a UNESCO World Heritage Site in 2000, it features a unique mixture of Arab, European, Indian, Persian, and African influences, especially within its architecture. Also known as Mji Mkongwe (Swahili for "old town"), the name "Stone Town" comes from the use of coral stone, which was used as the main construction material. Overlooking the beachfront in the heart of Stone Town, Park Hyatt Zanzibar is housed in two buildings: Mambo Msiige, a historic mansion centered around a peaceful courtyard dating back to the 17th century, and the contemporary Zamani residence. 67 spacious and luxuriously appointed guestrooms blend contemporary style with regional accents. Guest rooms overlook Stone Town or the dhow harbor and the Indian Ocean. All guestrooms feature spacious bathrooms with separate bathtubs and rainfall showers. 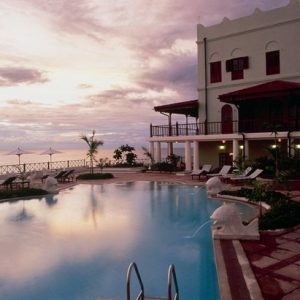 Ideally situated on the waterfront of historic Stone Town on the Zanzibar channel, the Serena Inn is a haven of tranquility close to sultans palaces, Portuguese forts, ancient dhow harbors, dark slave markets, and bright bazaars. 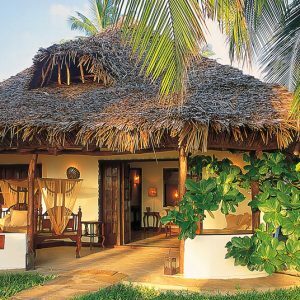 Rooms are constructed in traditional Swahili style and incorporate cool white walls and shuttered windows, blended with modern amenities. A spa, swimming pool, and multiple dining options offer plenty of options for relaxation after days of exploring the island. From providing accommodation options based on your budget, to recommendations on pre- or post-trip options, assisting you with booking regional air, and meeting you at the airport when you arrive: Boundless Journeys can help you with each step in planning your Zanzibar custom tour. 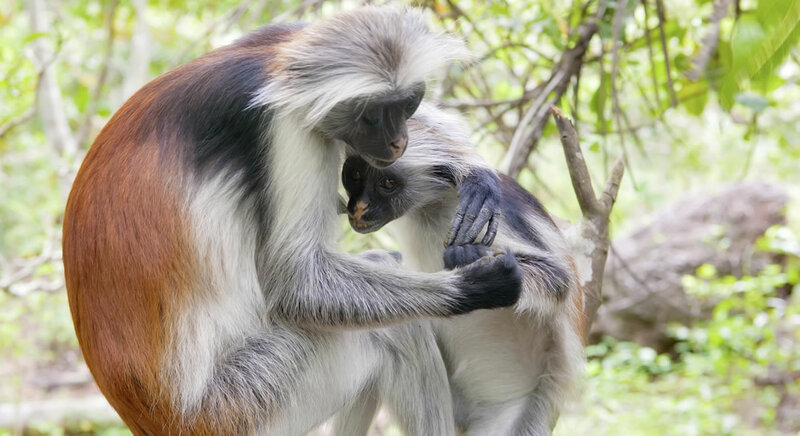 We will seamlessly guide you, so that you can simply relax and enjoy your exploration of Zanzibar. Optional walking, snorkeling, and swimming; activities available at additional expense include windsurfing lessons and scuba diving. The weather on Zanzibar is generally quite warm, although reasonably dry outside of the rainy season which lasts from November-April (with November, April, and May being the rainiest months). You may obtain more detailed weather information at www.weatherbase.com. We suggest avoiding the rainiest months of November, April, and May, and if you are sensitive to heat and humidity, it may be best to travel in the relatively drier, cooler months of May-September. 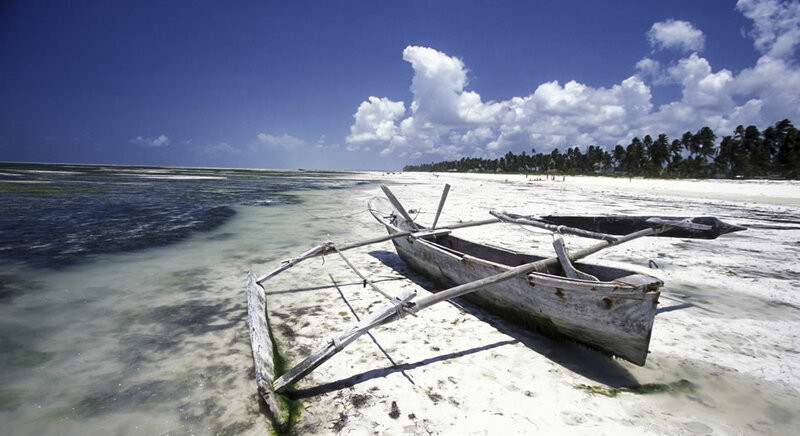 That said, Zanzibar can be an enjoyable experience year round, so long as you are prepared for the variations in weather. 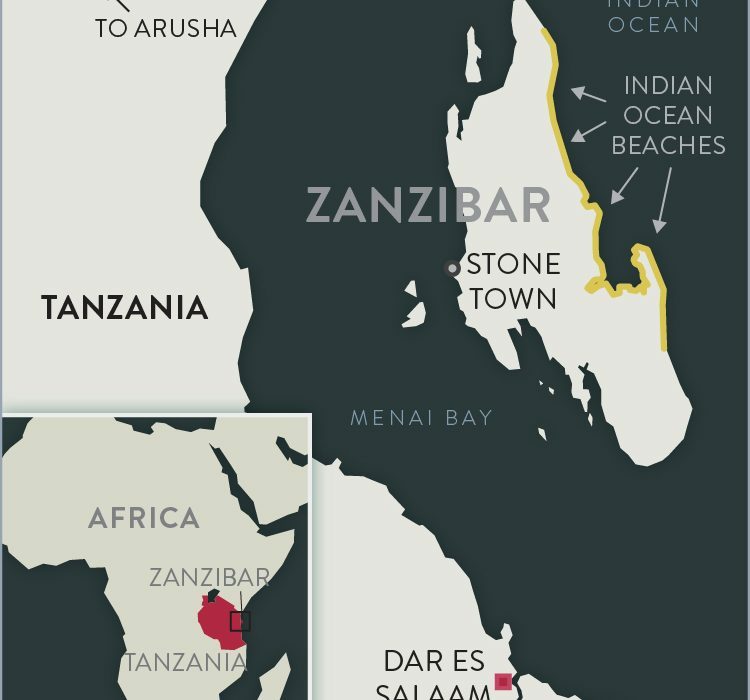 On Zanzibar, you will find both continental-style cuisine alongside more regional fare, often an Indian or traditional African influence. Vegetarians can be accommodated with advance notice, though choices tend to be more limited. 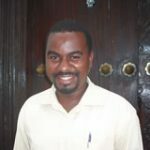 Hailing from Dar Es Salaam, Tanzania, Linus studied a variety of subjects at the University of Dar Es Salaam including water resources management, tourism, climatology and biogeography, environmental education and conservation, and geographical information systems. Upon finishing his university studies, Linus embarked on and completed an intensive course at the Zanzibar Commission for Tourism that covered topics including the history, environment, and ecology of Stone Town and Zanzibar. With his in-depth knowledge of the island and easy-going manner, Linus is an excellent traveling companion for an excursion to Zanzibar. Boundless Journeys has created dozens of pre-planned trips that make trip planning simple.